Indian Motorcycle has worked with Activision on an authentic in-game integration for Call of Duty: WWII, the highly anticipated video game released today. 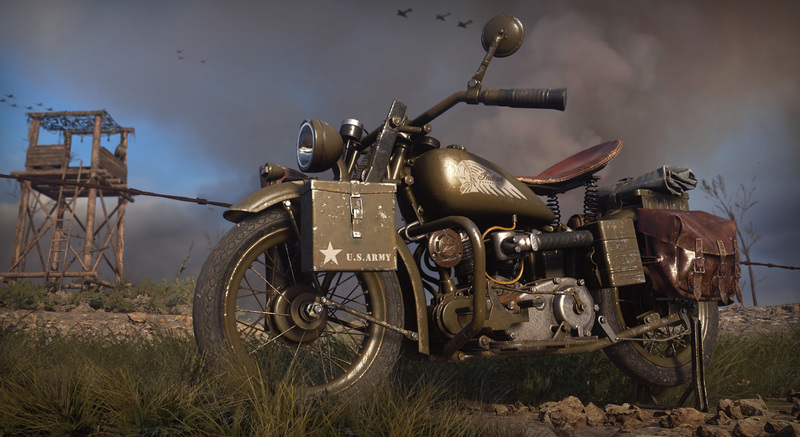 The U.S. Army used Indian Scout 741B motorcycles prominently during World War II so Activision and Sledgehammer Games have featured the Indian Scout 741B in Call of Duty®: WWII. As well as the bike featuring in the game, five Indian Scout motorcycles, based on the 2018 Indian Scout Sixty have also been created. These exclusive 741B Call of Duty® edition Scouts have period-correct Olive Drab paint, weathered leather and custom army components, offering a modern take on the vintage 741B Scout.